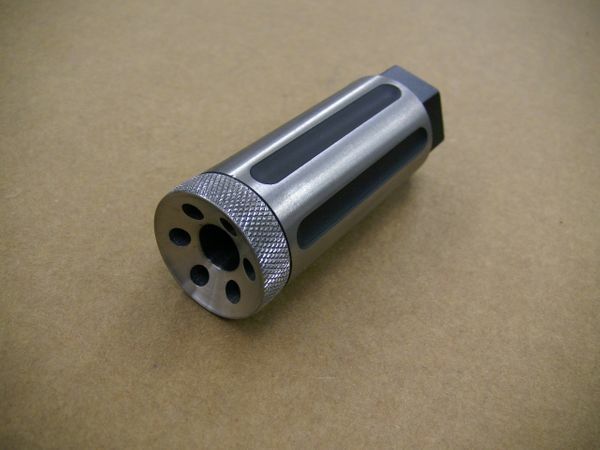 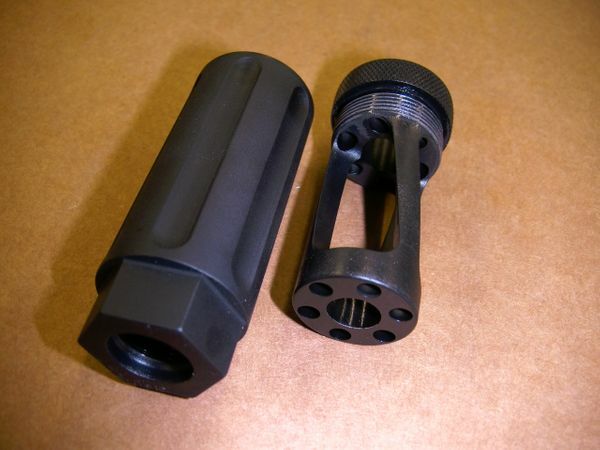 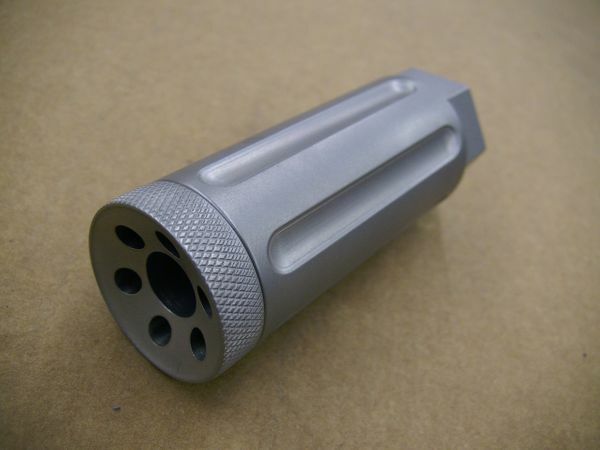 This Linear Compensator is machined from solid 303 Stainless bar stock. 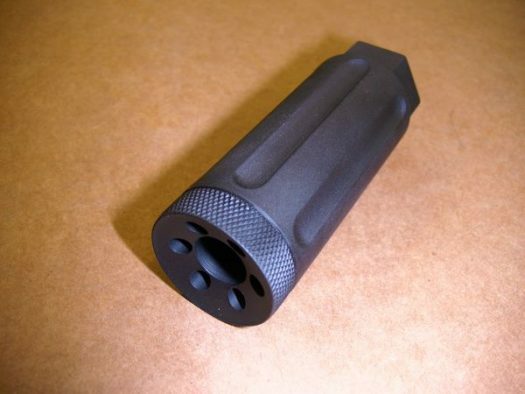 Two piece design allows for easy cleaning of the internals. 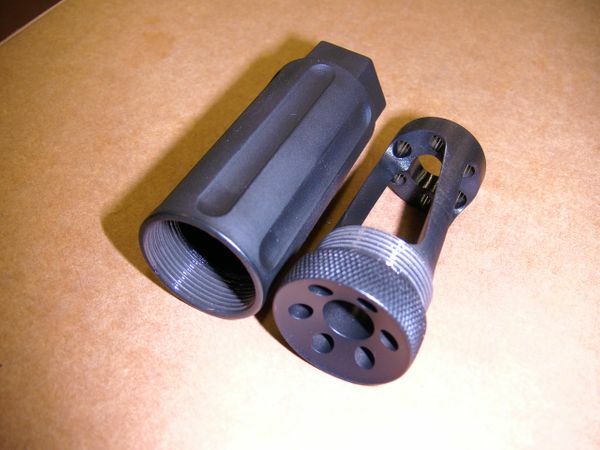 Threaded 5/8-24, 5/8-32, and 11/16-24. Thru-hole is .500″ for all .45 calibers. 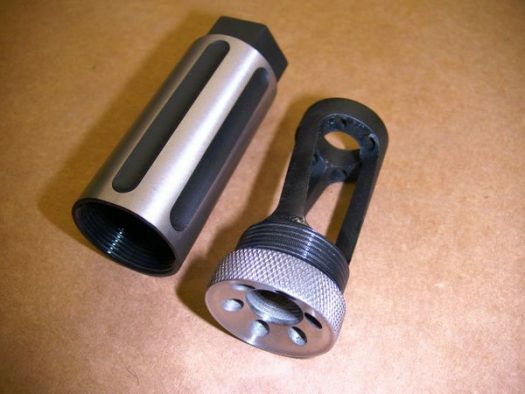 Finish – specify all Black, all Stainless or Hybrid two-tone finish (add $40).